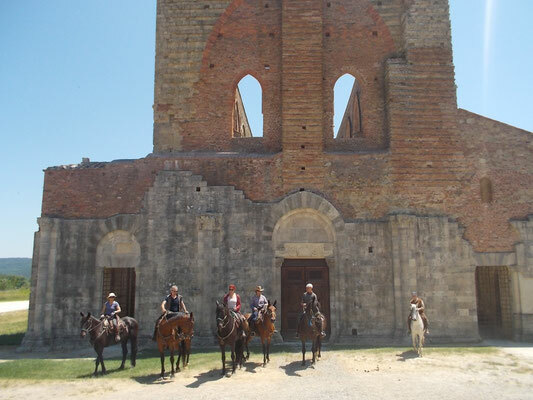 Four Days riding trek to the ancient San Galgano Abbey and the wild Farma Valley..
Four days trek from Civitella Marittima through woods and forests to the spectacular San Galgano Abbey, dating back to 12th century, where the drived into the rock San Galgano's sword is kept, and to the wild Farma Valley where many wild animals live, such as the woolf and the otter. 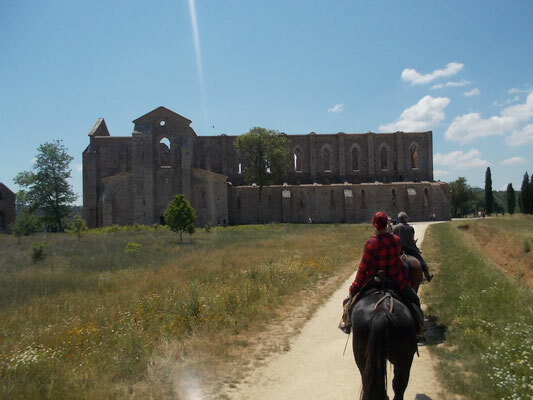 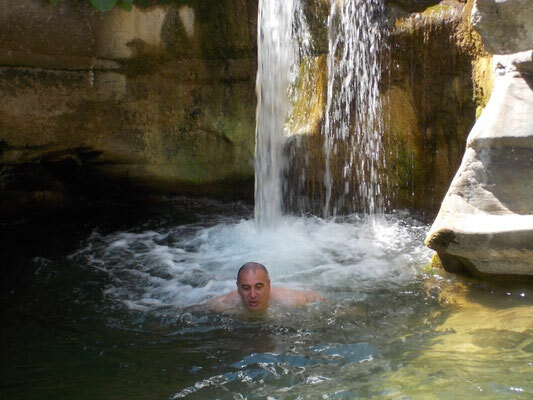 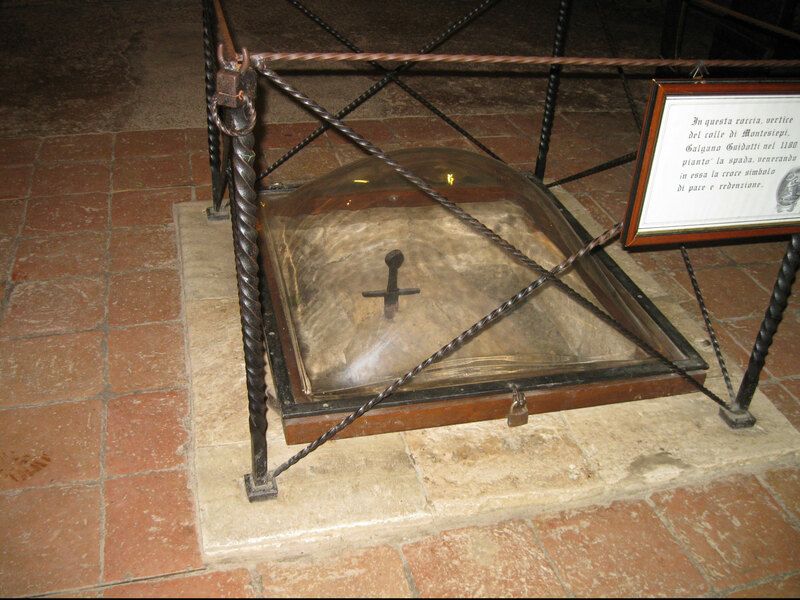 The trek offers spectacular views, like the San Galgano Abbey, the Canaloni waterfalls, the Voltaccia lonely beach. 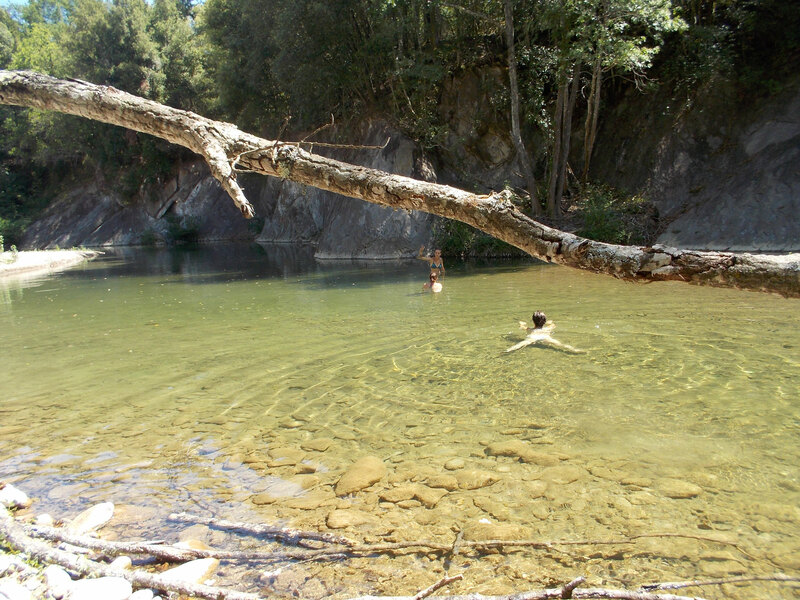 where during the summer it is possible to take refreshing baths. 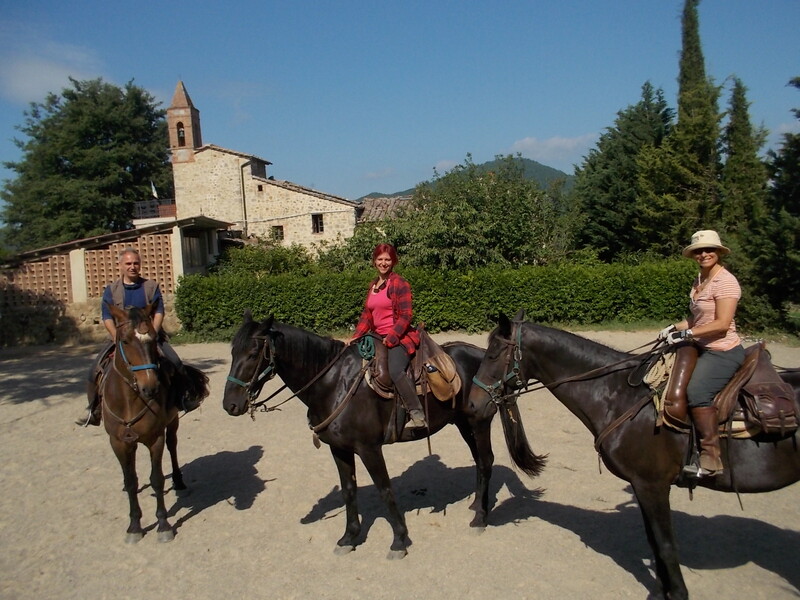 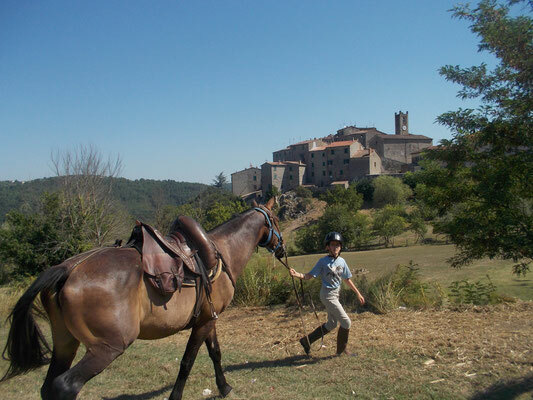 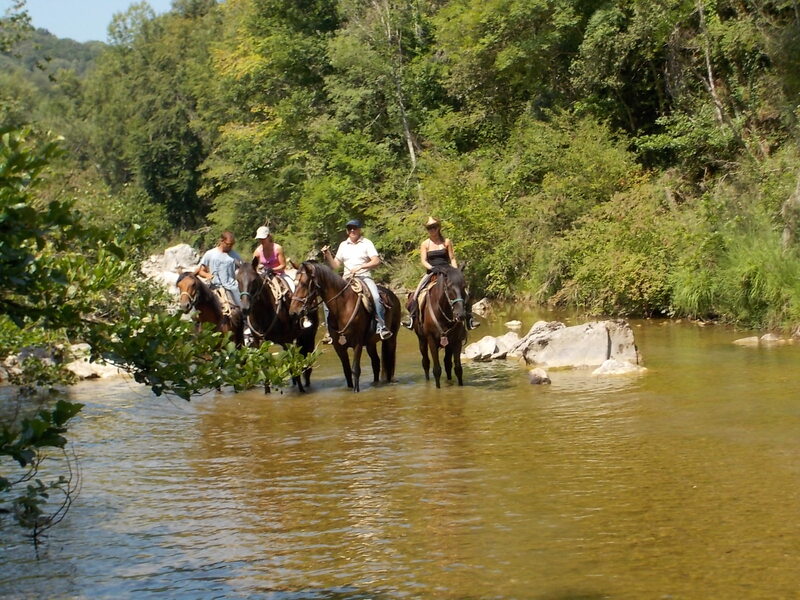 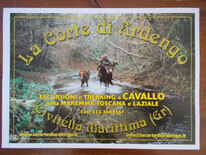 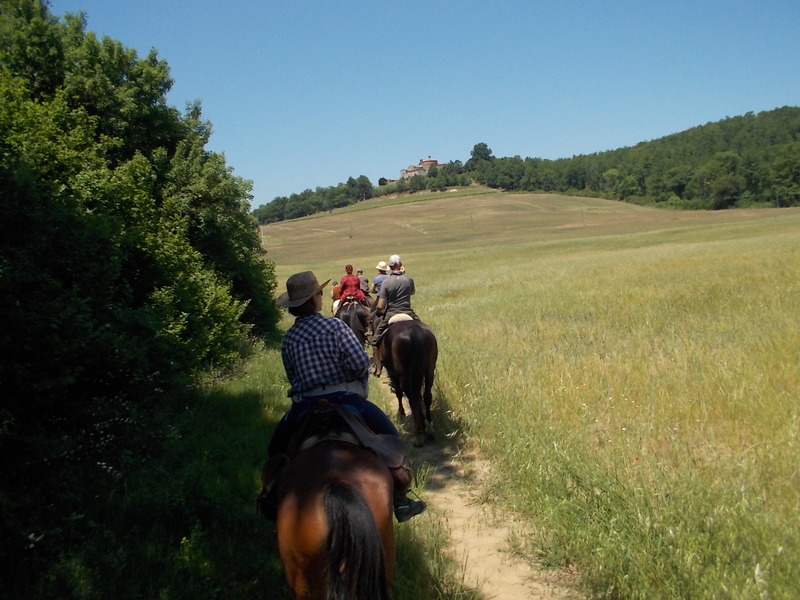 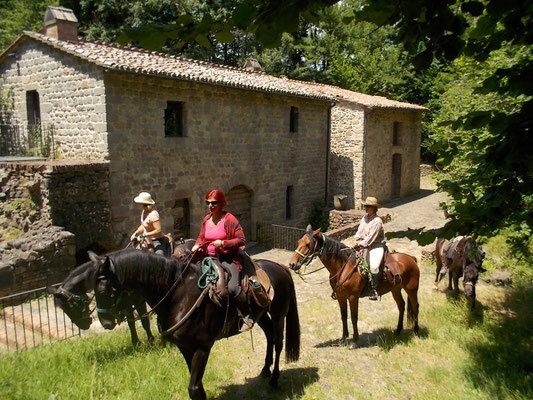 3 overnights and dinners in agriturismo or in an ancient village, 4 picnics during the trek.